Michelle Samson presented a wood installation piece and performance art piece for this show. 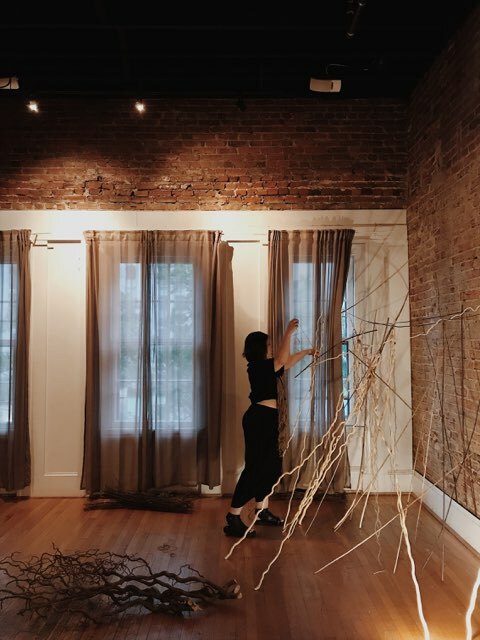 Artist Statement: We are all connected and dependent on one another. What if that connection and support were put to the test? The performance art piece was a social experiment. Twine pieces were placed around the artist who was sitting on the chair. Observers could take a piece of twine and tie anywhere on the artist. If the observer participated, where the observer tied the twine and how was telling and supposed to reveal the personality of the observer. Out of the more than 50 observers who participated, only one person asked if the artist was okay, if the observer was hurting the artist. 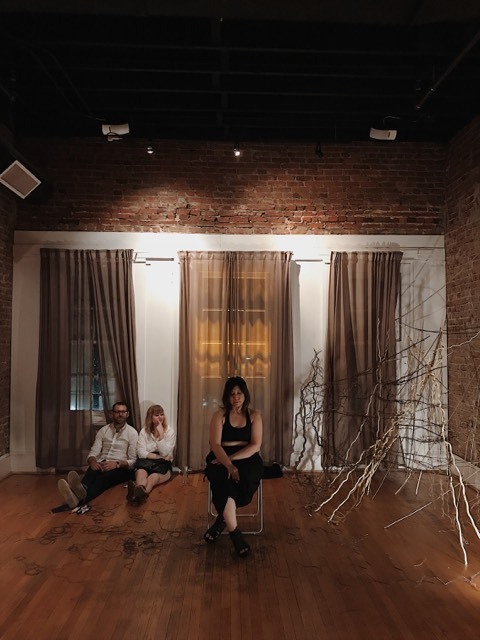 The Wabi-Sabi Society hosted an evening of interplay and shifting artscapes where the audience can be artists/performers, and every entity from sound to someone is a muse. Artists will be collaborating throughout the evening creating artwork in various "exhibits". This interactive experience is designed to involve attendees in the art creation process. Once you purchase tickets, we will share series of questions about dreams, wandering thoughts, fantasies, nightmares, etc. through emailed surveys and online engagement on the Facebook event page. Your answers and feedback will give artists material, subject matter, colors, and other forms of inspiration for the art manifested on site.